Celebrating a stag? 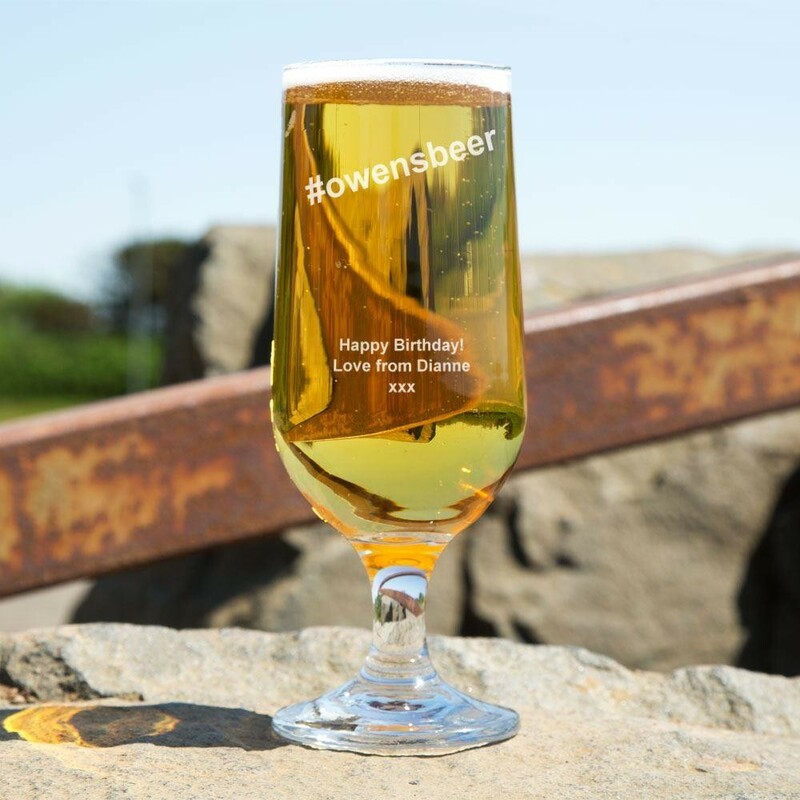 Our customised beer glass is the perfect addition to the party! The simplistic design simply features “#” followed by the stags name and “Beer”. We laser engrave it in house with a personal message of your choice - perfect as a set for each squad member! It makes a brilliant memento that can be used year after year or an alternative gift idea for the Groom from his wife to be or Best Man! The glass comes gift ready in a blue silk lined presentation box. 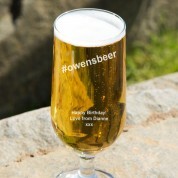 We laser engrave the glass in house, so it can be personalised with any first name. Dimensions: approx. 330ml capacity, approx. 18cm tall, approx weight 235g.